Infrared heat lamps are the actual incandescent light bulbs that provide infrared heating. These bulbs are designed to work in tough conditions, from warehouses to restaurant kitchens, hospitals to farms. These hard working heat lamps help keep humans, animals and food warm. Manufactured from the highest quality hard glass, infrared heat lamps are extremely tough and durable, offering splash proof resistance and accurate, controllable radiant heat. 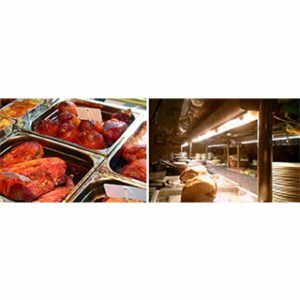 Technilamp supply a range of heat lamps to suit many different applications. All of our heat lamps are manufactured to SABS standards. Our lamps have a double reflector system, through the use of nickel plated caps. Our infrared heat lamps are available in clear and red versions. They have an extensive lifetime of approximately 5 000 hours. 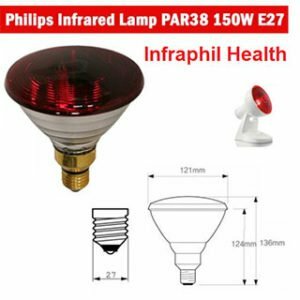 You can browse our full range of infrared heat lamps for sale on our online store. We’re always happy to answer your questions, so email us or phone us with your queries. 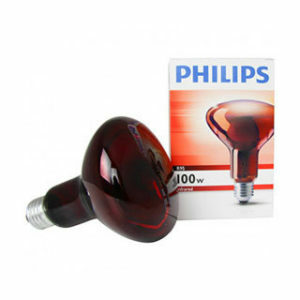 Philips infrared lamp gives pain relief for muscles and joints. 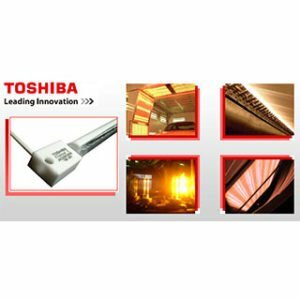 TOSHIBA infrared halogen heater lamps are powerful heat sources comprising a finely coiled tungsten filament surrounded by high-purity tubular quartz glass and a halogen gas-filled lamp.